Up until now, most of the Marvel Cinematic Universe has gone in chronological order. Only Captain America: The First Avenger and Agent Carter were really released out of order. However, now we’re at a big change because Guardians of the Galaxy Vol 2. was released three years after the original, but takes place just a handful of months later. That means this Phase Three movie sits firmly in this position and that I won’t be seeing this band of characters again for a long time. Those characters are a big part of what made the first film work. That group returns and are great. But, this movie succeeds in the development given to the group around them. 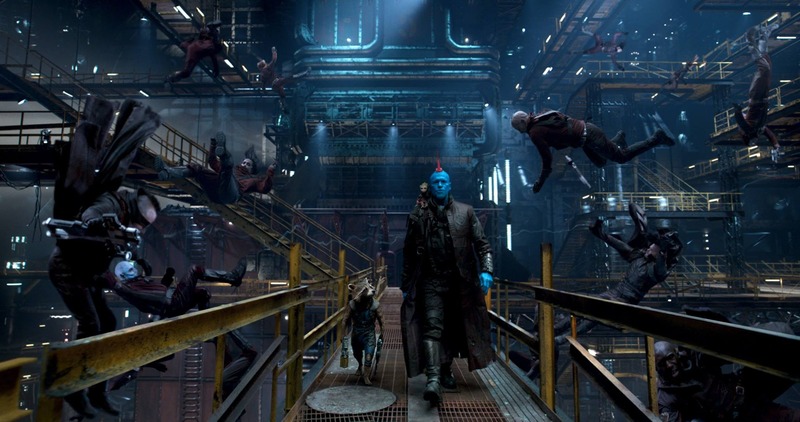 Yondu wasn’t much in the first movie, yet gets a ton to work with here. He becomes a sympathetic character, we see that he really loved Peter Quill, and was a true daddy to him. He also gets the incredible, “I’M MARY POPPINS YA’LL” line. This film also did wonders for Nebula. She grew from Gamora’s pesky sister to a fully fleshed out character. The scene where she confronts Gamora and to tell her that through all their wars, all she wanted was a sister, was heartbreaking. Without this movie, her work in Avengers: Infinity War wouldn’t mean nearly as much. Coming out of this movie, the team grows. Yondu gets included for a while until his death and Nebula is somewhat of an honorary member. However, it is Mantis who officially joins the team. We meet her with Ego (more on him later) and she has some highly entertaining scenes with several members of the group. By the time the third act rolls around, she more than proves her worth to the rest of the Guardians. Her powers are cool, she has a funny relationship with Drax, and she ultimately adds a cool dynamic to the entire team. The first film showed that the MCU could get wacky. There was a bit of emotion in that one and it worked well. This time around, they seemed to double down on the emotion, making this an MCU film that nearly had me in tears. 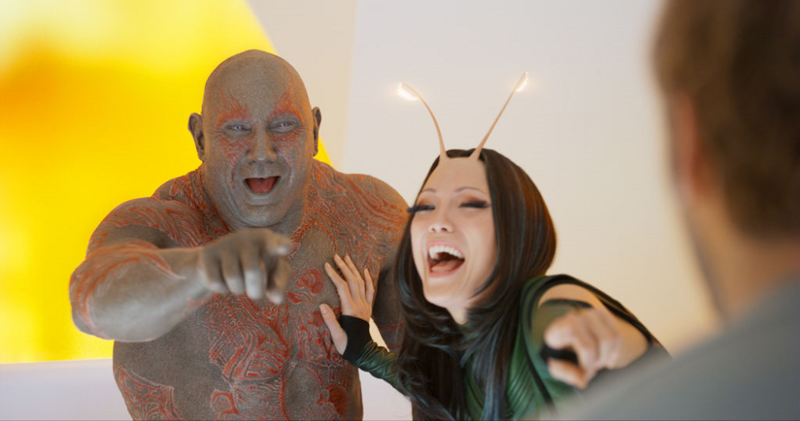 One scene that stands out involves Drax and Mantis. She uses her empathic powers to touch him and feel his sadness as he thinks about his family. Drax calmly sits there but she breaks down, showcasing how much weight he carries with him. It’s hauntingly beautiful. There’s also Yondu’s funeral, which is one of the saddest moments Marvel has ever done. Ending the movie on a shot of Rocket crying tells you a lot about this entire experience. Speaking of Rocket, he’s another major piece of this film. He’s a jerk to everyone around him other than Baby Groot. He’s especially terrible to Quill and Yondu. It’s when Yondu points out that they’re the same when you realize Rocket’s arc. He cares. A lot. But, he doesn’t know how to handle it, so he pushes everyone away. Just before his film closing tear, he realizes that, like Yondu, his friends and family still care for him even after everything he's done. The final hero I wanted to talk about was Baby Groot. 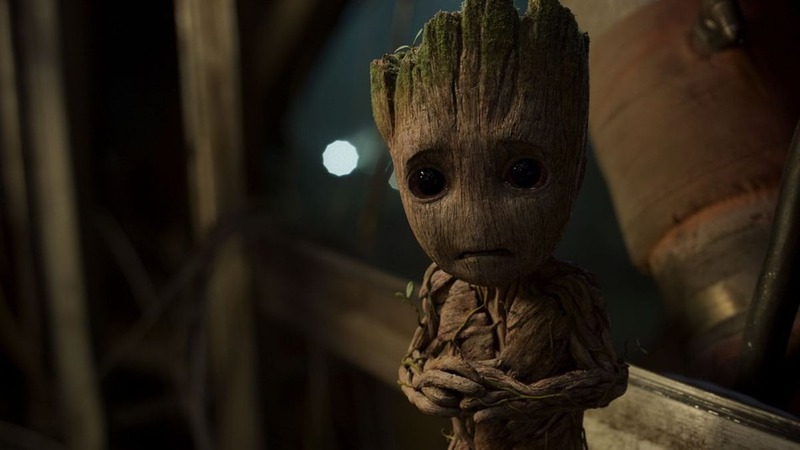 As soon as Groot re-emerged as an adorable baby at the end of Guardians of the Galaxy, people went wild for him. Watch any reaction video to a trailer for this installment and you’ll see people wooing over how cute Baby Groot is. They could’ve put him all over the movie because he’s a license to print money. Thankfully, the filmmakers didn’t go overboard. He’s in the movie just the right amount, plays a major role in the final fight, and remains cute without crossing over into annoying territory. With the heroes out of the way, it’s time to mention the villain. 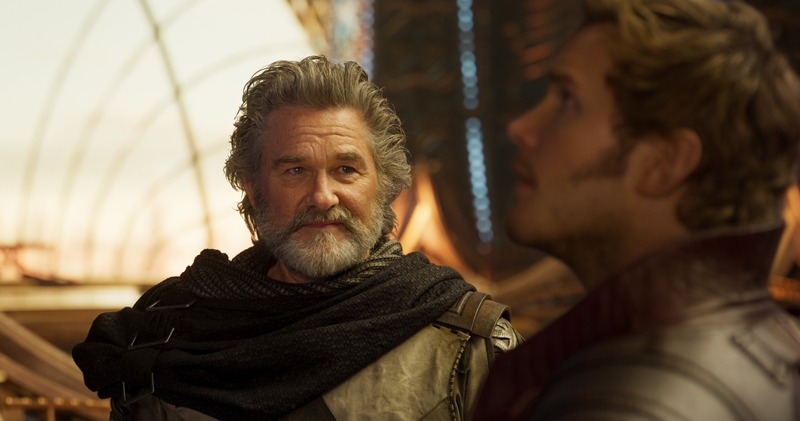 Ego, played wonderfully by Kurt Russell, marks the best antagonist we’ve seen so far. Yes, including the Winter Soldier and Loki. The performance is great, the character has clear motivations, and he feels like a threat to our heroes. His relationship with Peter is set up well, as he’s exactly what Peter is searching for. The reveal of him giving Peter’s mother cancer is heartbreaking. I do feel that the final fight is a big disappointing. The whole “Peter turns into Pac-Man” thing was cool, but having it all come down to literally blowing up a brain in the center was weird. There’s honestly a ton more that we could talk about, but I’d be here forever. Obviously, the music continues to be a strong point for the series. It’s not just great songs, but they come at timely moments. Playing “Father and Son” during Yondu’s funeral is incredible. 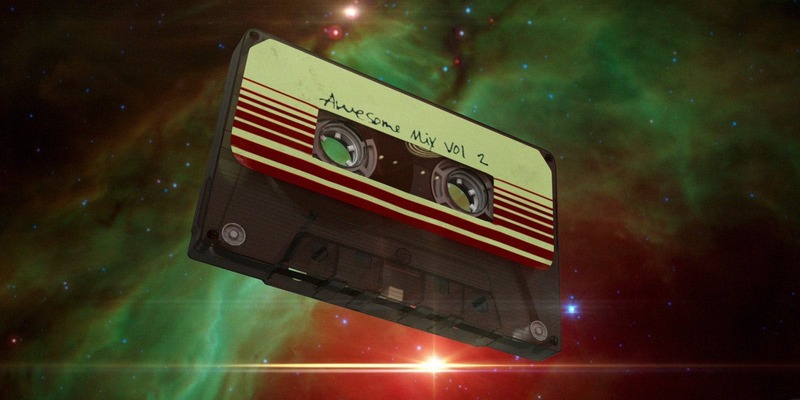 The same goes for "Mr. Blue Sky" during the opening credits, "Brandy (You're A Fine Girl)" when Ego thinks about Peter's mom, and "The Chain" during the final fight. The visuals are once again stellar, with this being a vibrant world to take the MCU to. The comedy mostly worked this go around, but a few jokes certainly missed. There’s a running gag of everyone laughing at a character named Taserface and it’s just not funny. Mostly because the name isn’t enough to even make me chuckle. As always, I must bring up the MCU connections. Thanks to where this movie falls in the timeline, it’s hard for it to have a major impact on the rest of the MCU. We don’t see the group again for a long time and when we do, several years have passed. This movie does repair the broken relationship of Gamora and Nebula, which plays a major role in Avengers: Infinity War. There was also the great tease of Adam Warlock after the credits, which could lead to something big. The coolest piece may have been the Stane Lee cameo, as we see he’s with the Watchers. He tells stories of things he’s done in past MCU movies, confirming that he is a Watcher. For those unaware, a Watcher’s purpose is to oversee the multiverse and never to interfere. That’s a really cool way to explain all of Lee’s appearances in these films. 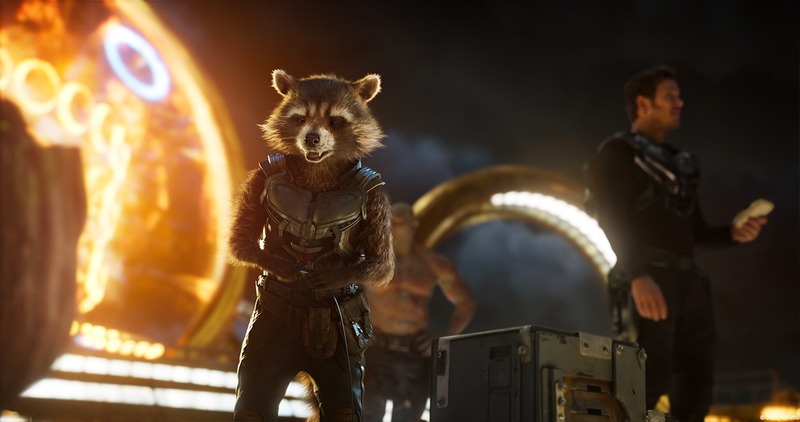 It’s hard to live up to the lofty expectations that Guardians of the Galaxy set, but they took this sequel and mostly gave us more of what we wanted. Several jokes misfire and someone like Drax feels a bit underutilized this go around. However, the emotional impact is significant, the character development is strong, there’s a great villain, the visuals and music are gorgeous, and the action is a blast. I’ve now watched this four times and it has honestly gotten better each time.